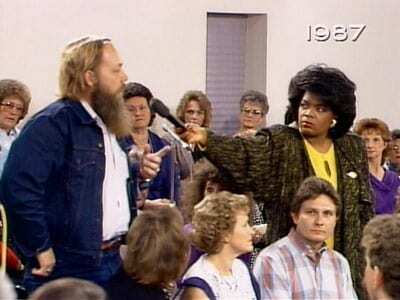 When the first episode of The Oprah Winfrey show aired in 1986, the audience had no idea what was coming their way. No one knew that the ultimate queen of talk shows was right there. Everyone wanted to be her friend but mostly be a guest on her show. Oprah had a way to touch and inspire people from all over the world and make even the toughest of celebrities open up like they have never done before. This was bring-out -the-kleenex-good television and people couldn’t get enough of their favorite talk show host. From Tom Cruise hopping on her couch to the most controversial interviews, here are Oprah’s best moments. It was on February 2, 1987, when Oprah met an overweight 550-pound woman named Stacey Halprin who was only 25 years old. Halprin has struggled her entire life with her weight and shaming as well as health dangers. She was having a hard time to sleep, let alone lead a normal social life. She reached out to Oprah in hopes that she could help her embark on a journey to lose those extra pounds. After many ups and downs, both emotionally and physically an occasional appearances on the show, by 2011, the last time she appeared on the talk show, Stacy was healthier than ever but most importantly her feeling of self-worth was higher than ever before. Relationships and talking about love in general was a big part of what the show dealt with. 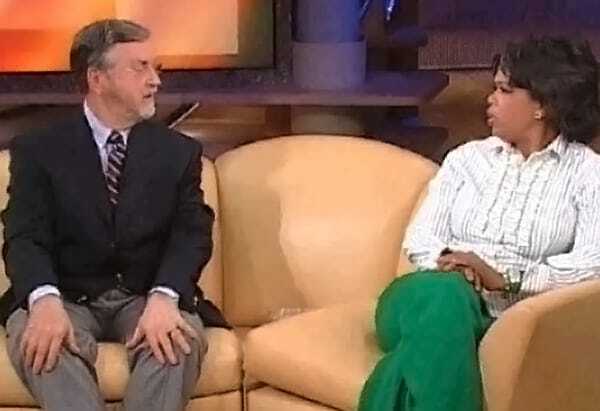 You could say the Oprah saw it all when it comes to relationships, but her big ‘ah ha moment’ was in an episode in 1988 where she had therapist Harville Hendrix as a guest on the show. Hendrix introduced Oprah with the Imago Theory that he came up with which pretty much says that there’s a reason why people choose the life partner that they do. It’s not a coincidence, instead this person is made to help us fix and recover from our past scars and wounds. 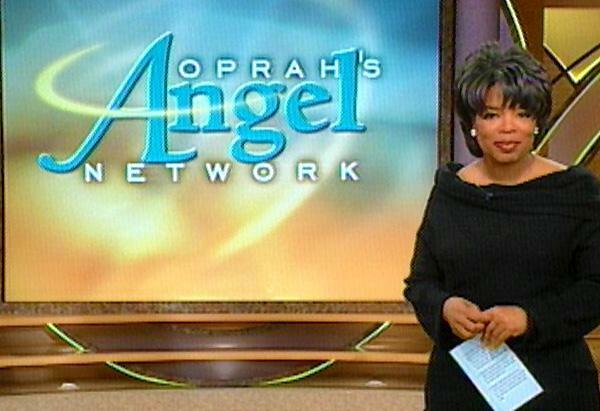 From that moment on, Oprah changed the way she perceived relationships. It wasn’t just about the romance anymore, it was about a strong spiritual connection between two people. When you have two of the most tear-jerking elements – children and victimization then you know you have a good story. Rob Jones was only 10 years old when he was struck in his face by a flying bullet which left hi, blind. The brave boy was invited on the Oprah’s show and was even listed on her 10 most memorable guests in her magazine. When Oprah asked the poor boy ‘Can you see in your dreams?, he lowered his head, paused and then whispered, ‘Yes’. Robert indeed see his dreams come true and by 18 was already playing the piano and he later earned a degree. He now performs opening sets for some of the biggest recording artists and has had amazing musical collaborations with the biggest names in the music industry. 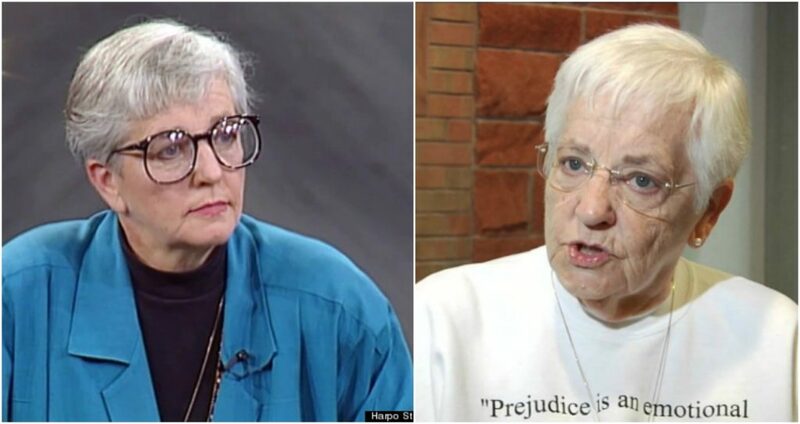 On one of her shows in 1992, Oprah invited Jane Elliott, a schoolteacher, who wanted to throw a little exercise to teach the audience and her students abour racism following the assassination of Martin Luther King Jr. The gist of her experiment was to demonstrate and prove how easily people can be brain-washed to discriminate based solely on random physical features like different eye colors. The results shocked the audience and left everyone speechless. 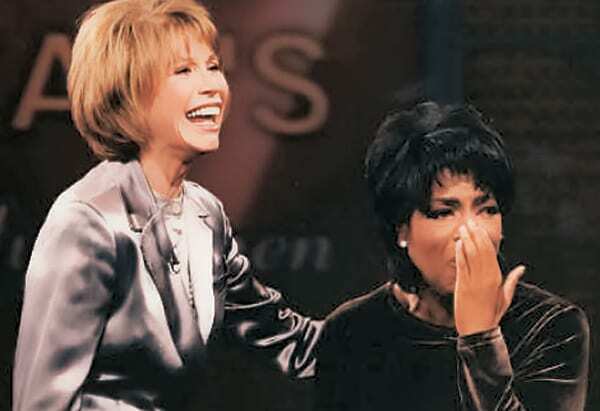 Elliott is 84 years old today and has appeared on the Oprah Show five times throughout the years. No dream is too wild, no surprise is too impossible’, those were the Oprah’s exact words before she handed a car to each and everyone in the audience. Sounds pretty wild right? but if anyone can pull off something like this, it’s Oprah. This is hands down one of the most ecstatic moments from the show which has literally become a pop-culture iconic moment. The crying, screaming and overall over the top excitement was a television moment like never seen before. 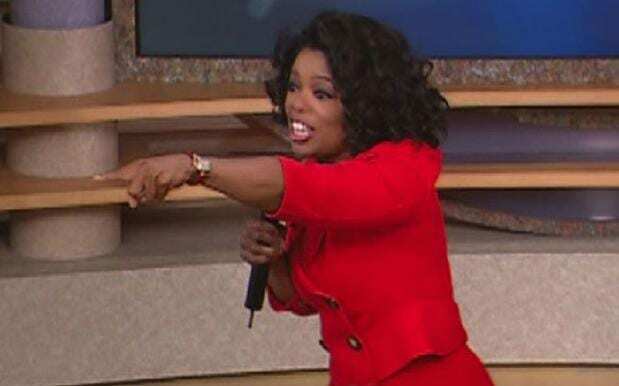 The people in the audience were all in desperate need of a car, and that’s when Oprah stepped in. 13 years later, it’s still incredible to watch. 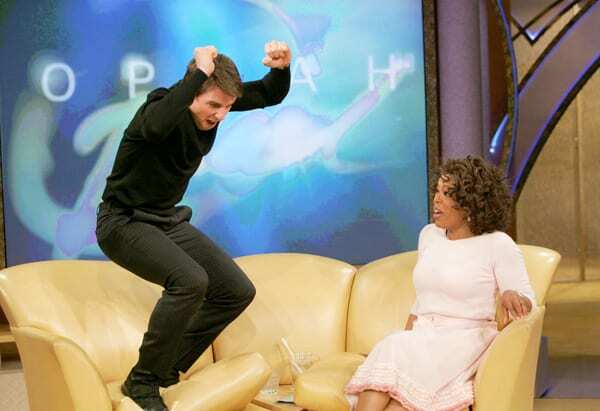 Who can forget when the Mission Impossible actor decided to jump up and down on Oprah’s yellow (and expensive) couch when he couldn’t contain himself over his love for his then girlfriend, actress Katie Holmes. There’s no doubt that the hopping on the couch marked a transition in the heartthrob’s public, not sure though if it was for the better or for the worse. In any case, Tom Cruise must have been head over heels in love to go crazy like he did on the show. As part of Oprah’s Book Club, the talk show host chose a different book each time to discuss with the audience in a special discussion segment. The reading club started in 1996 and ran for 15 years. Oprah once said that one after she opened this unique and important club, a woman who on her show told he: ‘Before I joined the book club, I had never read an entire book.’ Considering Oprah’s family past, reading and advancing in life has always been a window to other opportunities. Books had given her another life. It’s no secret that Oprah is all bout giving back to others, that’s the entire essence of her being basically. In 1997, the famous and very generous host decided to make the biggest piggy bank in the world in order to inspire people from around the globe to give to others. ‘Viewers from every corner of the country collected their loose coins and sent them to our Angel Network so we could give 50 students a chance to attend college.’ By the end of the season, there was more than 3 million dollars collected. The faces on these kids’ faces when they heard they can now go to college was an astonishing moment for Oprah. 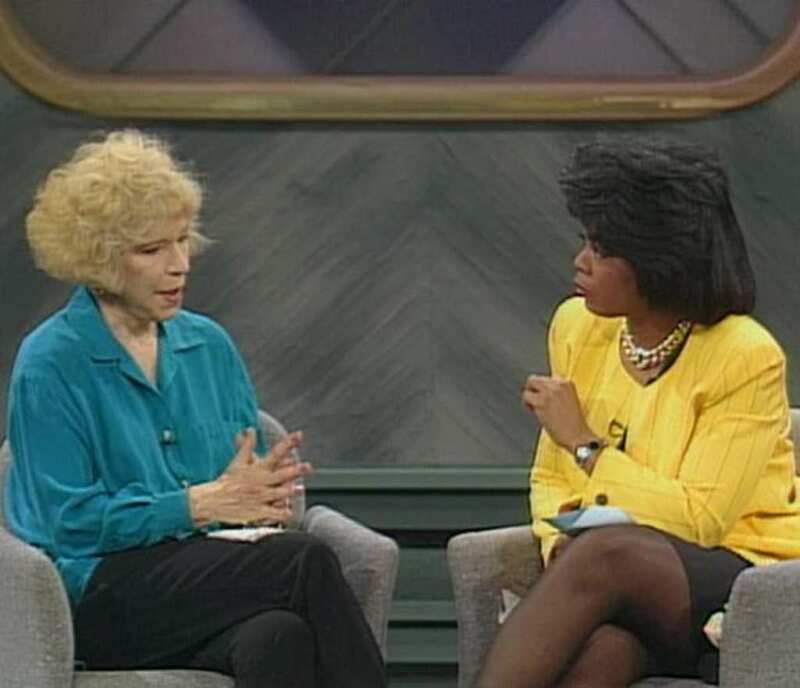 One of Oprah’s first guests when she had her very first talk show was a woman named Truddi Chase who had a split personality. In fact, she had 92 different personalities, as a result of the abuse she suffered from by her stepfather when she was just a baby. Her interview was fascinating and heartbreaking at the same time. Chase is also the author of a book called When Rabbit Howls and her story was even made into a movie called The Voices Within The Lives of Truddi Chase. She had what is called a dissociative identity disorder. 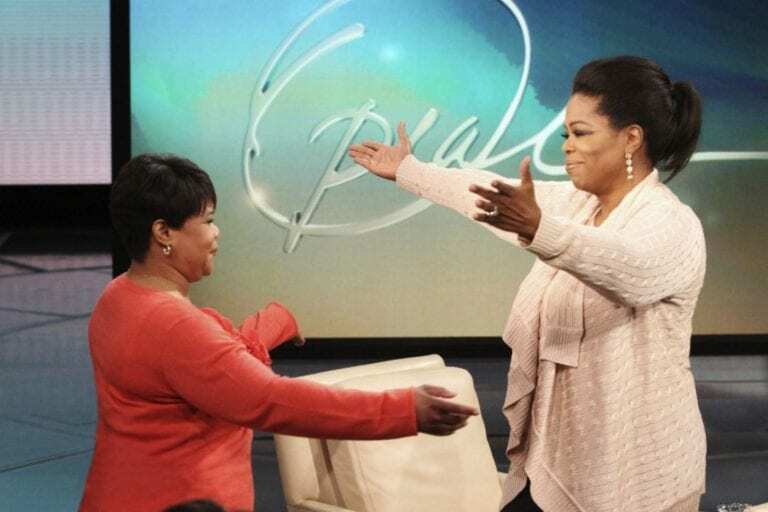 On a lighter note, one of Oprah’s most popular segments was when she spread good in the air. In one episode back in 1993 the talk show queen dedicated an entire episode to spreading out good news to the people who least expected it. It was one hour of wall to wall amazing news. She went to hardworking people to tell them they get a day off, she let a couple know they get a break by providing them with babysitting services and more. It was definitely a good day for everyone. Losing a parent must be the most difficult thing in the world for a kid, especially at a young age. 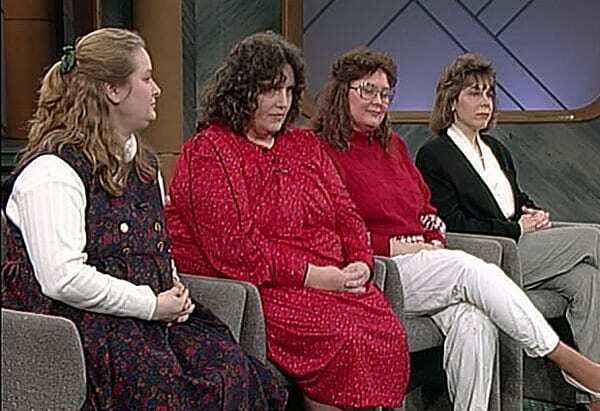 Kate and Zach were guests on Oprah’s show back in 1997 after they lost their mother. When the family knew their mom was dying, they decided to go on an unforgettable family vacation from Disney World to Palm Springs in order to have the sweetest last moments together as a family. When Oprah asked Kate what her absolutely favorite moment from the trip was, she told her: ‘One day when I came back from swimming my mom was in bed. She said, ‘Kate, would you get me a bowl of cereal?’ I said, ‘Sure.’ A week before she died, I was in my parents’ room. I said, ‘Mom, would you wake me up if you go downstairs to get a bowl of cereal?’ So at 2 in the morning, we had a bowl of Cheerios together.’ Oprah was touched by that fact that it was those little things she remembered the most. The producers called this ‘a Cheerios moment’. Kate hasn’t had the best 20 years since her mother’s death, but she is now leading a healthy and balanced life. In another heartbreaking episode, Oprah interviewed Doug and Erin. Erin was in the midst of battling cancer and she knew she was dying. Erin and Doug had a six-year-old daughter at the time named Peyton, and in an attempt to leave a legacy, Erin decided to leave her daughter advice for when she grows up and will need it in the form of recorded videos. For example, she left her a video on how to wear her makeup or how to choose a husband. This takes a lot of courage and creativity and especially strength. Betty Broderick was charged with second-degree murder and 32 years in prison after she was found guilty of shooting and killing her ex-husband, DanBroderick and his wife, Linda when she found. Broderick agreed to have her first interview for the queen of all talk show hosts in 1992. The interview was held in jail and Oprah like only Oprah knows how to, asked the gruesome questions and had the former housewife open up about why and how she did it. When one legend interviews another legend, you can only expect a legendary interview to come out. Oprah has interviewed many celebrities in the past, but one of her most iconic interviews was with Elizabeth Taylor in 1988, the first interview she had with the actress. Taylor announced that she wouldn’t talk about her personal but famous relationships, not even with Oprah Winfrey and was very short with her answers. However, when she went in to her second interview four years later, she was much more open to talk about personal issues like her eight marriage and her close friendship with the late Michael Jackson. The famous comedian and actor who’s net worth is estimated at $600 million is usually known for his tough appearance and image. However, when Perry was interviewed by Oprah in 2010, he had one emotional appearance. As part of the live-interviews, Perry talked about his abusive childhood, which led him to break into tears. This is certainly not an easy thing for a star to do, to be so candid about his personal life, which makes it really admirable. We’re pretty sure many people who watched the talk show host becoming so successful throughout the years have wished they were somehow related to her. 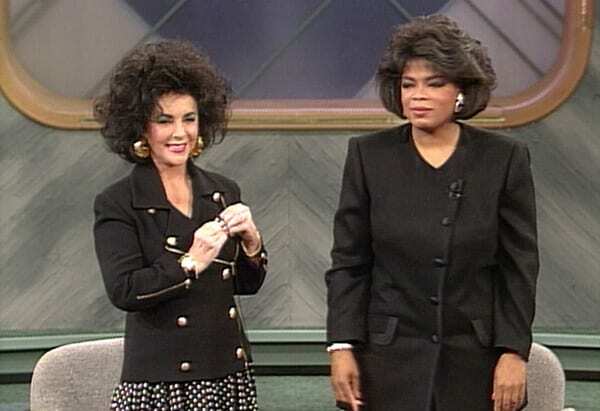 Just when we thought there were no more skeletons hidden in Oprah’s closet, it turns out she has a sister named Patricia. 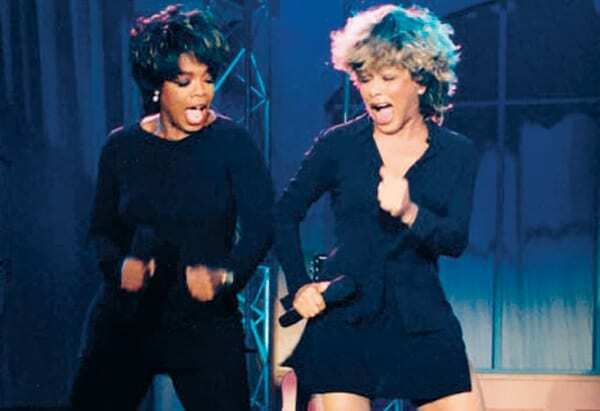 During their interview, Oprah let her audience in on her personal journey with her long-lost sister who was separated at birth from her famous sister. Oprah granted her sister with a home and promised to pay her college tuition. 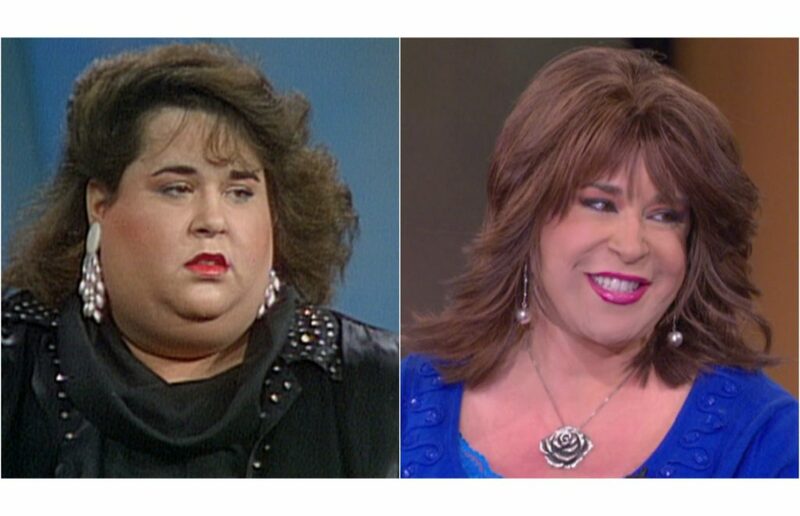 Mike Sisco was a homosexual who also had AIDS and was invited on the show in 1987. Unfortunately, back in those days, not many people knew much about AIDS and HIV and what it’s really about which led to many stereotypical notions. In the controversial episode, Oprah interviewed the man from West Virginia who set off a firestorm in his small town of Williamson after he took a dip in the town’s public swimming pool. The people’s ignorance led Mike to talk about these misunderstood fears and try to educate them better about the virus. The queen herself has had quite a dynamic love life growing up and she even had a whole special dedicated to reunite with her past sweethearts. However, there will always be one relationship that never gets old and that’s her long-lasting partnership with Stedman Graham. These two have been together since 1989, but have never made it official and tied the knot. 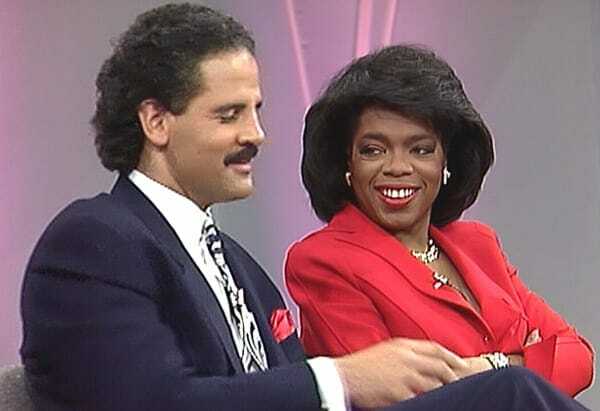 In one of er shows in 1989, she asked Stedman to be a guest star on the show to discuss how tabloids can affect a celebrity relationship. When asked when he would ask Oprah to marry him he said: ‘I love her and she loves me. She’s my woman and I’m her man…we will announce properly when we’re going to get married when we decide we’re going to get married, and not before.’ They still haven’t gotten married. Actress Susan Lucci who is 70 years old these days, is mostly known for her role as Erica Kane on NBC’s All My Children. She was part of the long-running soap opera from 1970 to 2011. the famed actress who played the popular character also had her fair share of on-screen marriages. In one episode in 1991, Oprah reunited Lucci with all of her on-screen hubbies. That was quite a reunion! If you think the term ‘cougar’ was coined in recent years with the growing amount of relationships between older women and younger men, then think again. 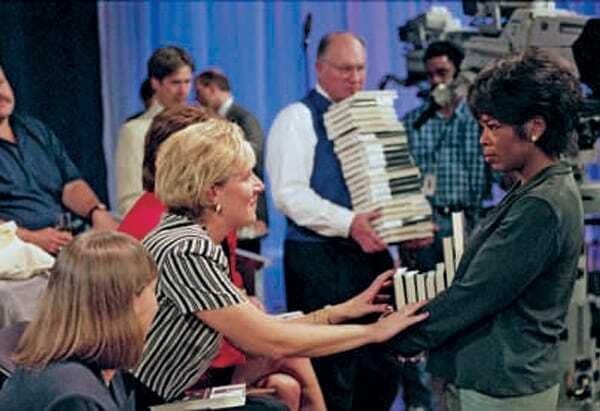 Before Demi and Ashton were around, Oprah was the one who tackled the burning topic way back in 1993. One of her guests on the show made a somewhat controversial statement when he said that ‘It’s the difference between riding in a Volkswagen and a Cadillac..if you want to ride in a Volkswagen, go ahead. If you want the Cadillac, go for an older woman.’ Classy. Sometimes art imitates life and sometimes life imitates art. Take the ‘Home Alone’ episode from 1993 which looks like it was taken from a scene of the famous Christmas movie. As you know, in the 1990 film, Macaulay Culkin’s character was left behind accidentally while his family went on a family vacation. 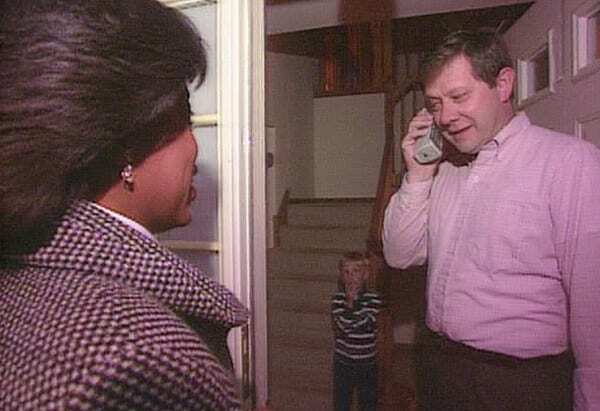 In 1993, there was a real case like this when Sharon and David Schoo left their 9 and 4 year-old daughters home alone when they embarked on their own little Christmas vacation. The couple was later arrested for child abandonment and the case raised many questions as to whether it’s ok to leave your your ones behind alone. 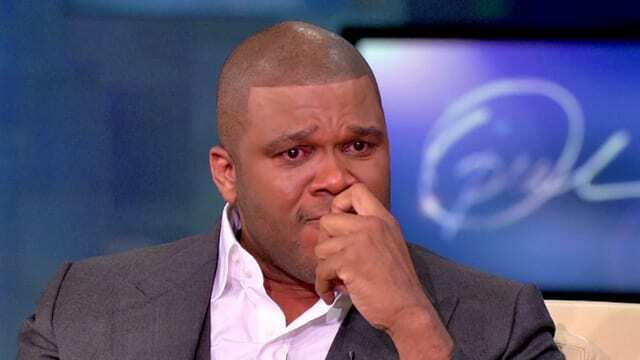 Halle Berry was the first female African-American to ever recive an Academy Award for Best Actress, and you can only imagine how obssessed Oprah must have been with that fact. Berry has been a regular guest on the show and had 22 appearances where she used it as a platform to talk about interracial adoption, racism and motherhood. In one episode in 2007, the actress revealed her sweet baby bump publicly for the first time on stage. People were ecstatic to find out their beloved actress was expecting! In 1987 Oprah took a bold step when she drove down to Forsyth County, Georgia to tape a show in one of the raciest towns in the U.S. How racist was it? well let’s just say that at the time of the episode, not even one single African American had lived there for more than 75 years. Oprah spoke with the local community members who in a nutshell pretty much said it’s their choice to live in an all white community and they had the guts to say they didn’t want a mixed-race community, until one brave woman stood up and said it was a time for change in Forsyth County. Emotions were running high, but Oprah stood brave and classy. 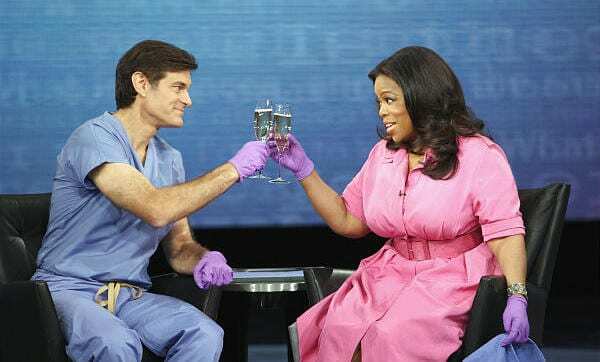 The famous doctor had his first appearance, like many of his fellow talk show hosts, on The Oprah Winfrey Show back in 2004 where he was a regular answering all kinds of medical questions from the audience. He sure did come a long way since then and in 2009 the celebrity doctor got the biggest break in his career when the Oprah’s production company offered him his own show. 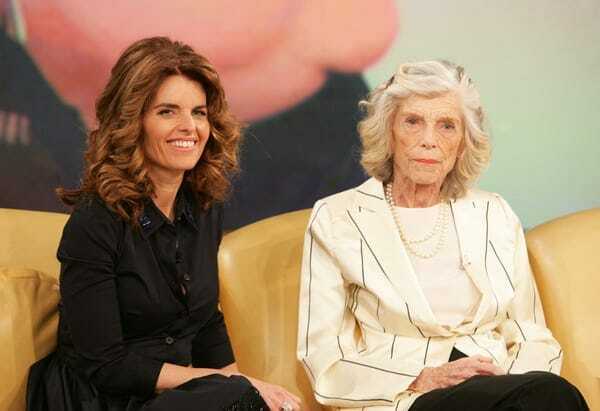 Eunice Shriver has both political and Hollywood connections as she was the sister of the Kennedy brothers and the mom of Maria Shriver who was married to actor tirn politician, Arnold Schwarzenegger. She also founded the Special Olympics. In one episode in 2005, Eunice together with her daughter, were guests on the show where Eunice gave the audience a little tip on motherhood and how important it is to spend time with your kids: ‘I think if you’re out to dinner and lunch all the time and you don’t have a ceremony at night—at least a dinner together—you lose that contact very quickly. … I think that’s very important’. Sadly, Eunice passed away in 2009 when she was 88 years old. Oprah spoke abut her admiration for the woman and said that apart from Obama, she was the first woman she would campaign for should she had run for presidency. Oprah has known many ups and downs also in terms of her health, and it took her many years to accept her body and lead a healthy, well-balanced life. 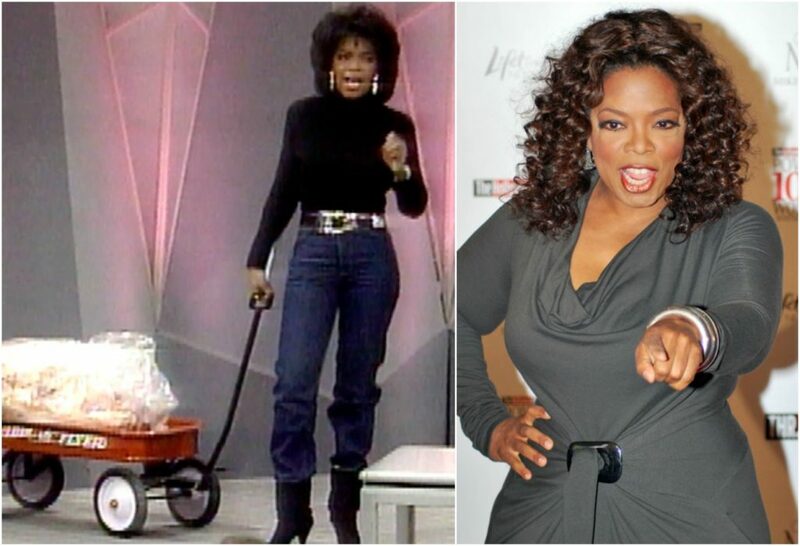 In an episode in November of 1988, Oprah was the star of her own show when she came out looking thinner than ever while rolling a red wagon with 67 pounds of what looks like fat to show how much she shed off. Oprah’s diet dreams came true and she looked amazing.